The Glenfinnan Viaduct carries the rail line from Fort William over the valley floor just inland of the head of Loch Shiel. The viaduct has appeared in numerous films, including the recent Harry Potter series. On our first visit to the site, the weather was looking very dodgy. I climbed a hill to get a good view of the Glenfinnan Monument on the shore. 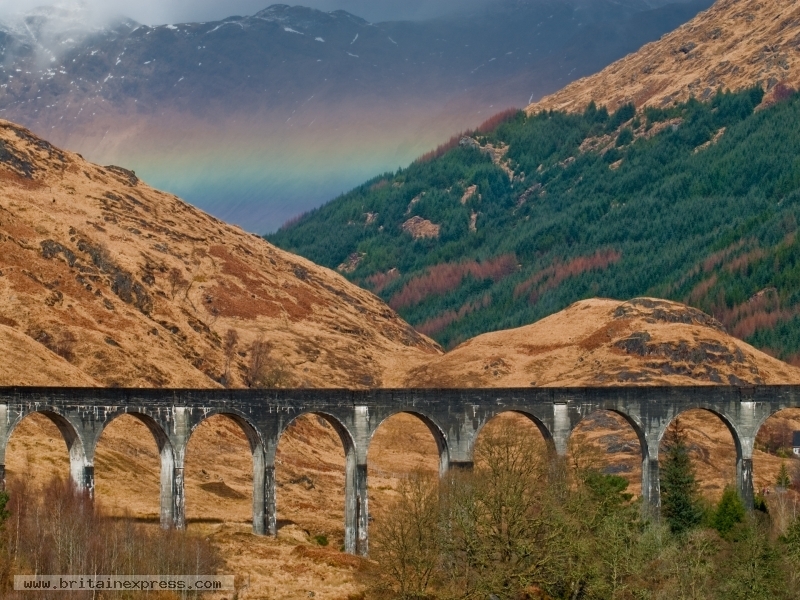 When I turned around to look at the viaduct, I saw this rainbow, which was only there for a moment before it disappeared.